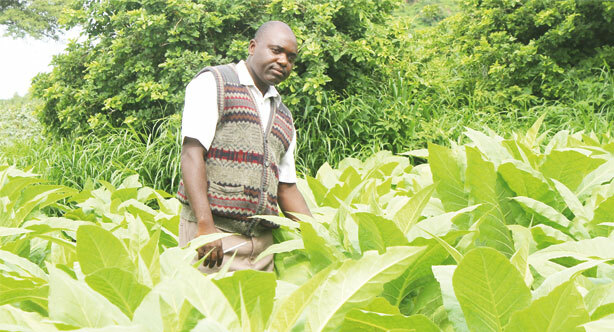 Over 100 Tobacco farmers belonging to 20 clubs from Embagweni zone in Mzimba have complained that transporters under Phindu Association and Farmers Produce have been stealing tobacco from bales when ferrying them to Mzuzu Auctions Floors. The complaint comes amid a general outcry from farmers over poor prices offered by buyers at the floors and that some bales continue to be rejected. Farmers who stormed Times Group offices on Tuesday said one of the transporters was caught stealing some kilogrammes from the bales to create his own bales which he later sold. Marko Phiri, one of the farmers said their clubs reported the matter to Phindu Association and Farmers Produce but nothing has happened to recover their money from the stolen kilogrammes. “We cannot understand why we are always taken for granted. We have been complaining about poor prices offered by the buyers at the floors. Now the transporters [are] stealing our tobacco. Bales are normally between 100 and 110 kilogrammes. But to our surprise, we saw 50 kilogrammes on sell sheet. Where are some kilograms going? “We followed up with the transporter, [Blessings] Nyirenda and we found him making new bales out of our bales. To make matters worse, we have never been assisted,” Nkhoma said. Lawyer for the respondents Chancy Gondwe asked the High Phindu Association Northern Region Manager Mathews Chiwaula acknowledged working with the farmers but said the transporter came from Farm Produce. He said his association and officials from Tobacco Control Commission (TCC) reported the matter to Police which later arrested the suspect. “These are our farmers but the transporter was from Farmers Produce. We have handled the matter well and it is currently in the hands of police,” Chiwawula said. But Farmers Produce Officer Sam Munthali refused to comment on the matter. When contacted, TCC Chief Executive Officer Kayisi Sadala said he is not aware of the incident. He said farmers are supposed to launch official complaint through his office for an official action. Sadala said TCC has power to recover the money because its mandate is to look out for farmer’s welfare. “Such cases are supposed to be reported to us. We need an official complaint so that we can follow up with the transporter and find out if he is a registered transporter. If found guilty, we recover the money for the famers and ban him from the business,” Sadala said. Mzuzu Police Public Relations Officer Paul Tembo confirmed receiving the complaint but said no arrest has been made yet.